Very Easy to Fly with the intelligent flight system it automatically keeps your Phantom 3 Standard in the air and always under your control. Superb Images Now you record amazing 2.7K High Definition videos and 12 MP photographs with complete ease using the integrated Phantom’s camera. Smooth and Stable Footage Now with DJI Phantom 3 Standards amazing gimbal stabilisation technology this can now give you movie standard quality results for even the novice of pilots. 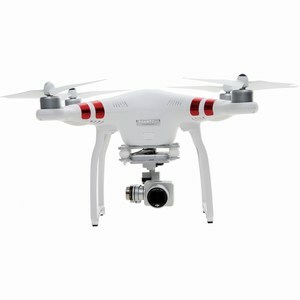 See the Live View from the Camera , A live video stream gives a 720p HD real time view of what your Quadcopter camera is seeing streaming back to your mobile device. Long Flying Time: Now you can Fly up to 25 minutes on 1 single battery charge, and the Intelligent Lipo Battery will notify you via the app of the status and power remaining.